I took this project on after planning consent was refused for initial proposals because of impacts on green belt land. 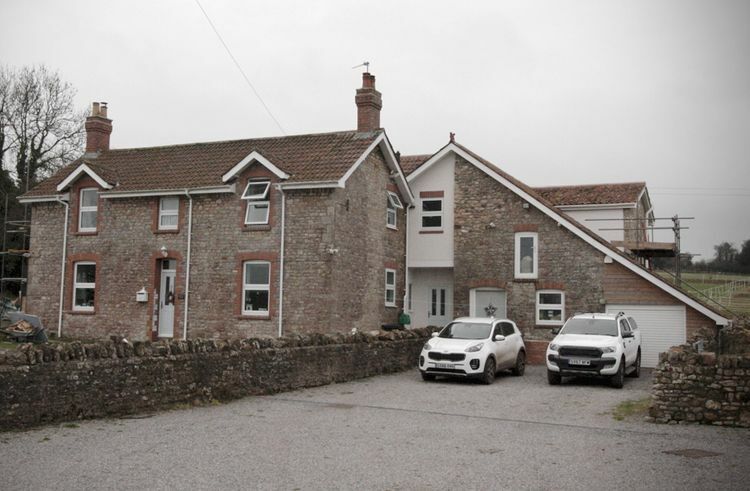 When I first came on board, the property consisted of a farmhouse, which had part of its estate sitting within green belt land; there was also an adjacent barn. The owner was hoping to be able to carry out a large extension with the aim of creating additional bedrooms, a kitchen dining space and a new living room. The idea was that the extension would be similar in size to the existing farmhouse. The project was a challenge, but I came up with the idea of locating the extension where it could be largely concealed from both the main road and the green belt land as desired by the planners. I also made use of the adjacent barn, looking at extending it and adapting it to adjoin it to the main farmhouse. The idea here was that the new-build footprint would be partly offset by incorporating buildings already on the site – and that the new would blend seamlessly with the old. To ensure everything went smoothly, I worked alongside my client and a planning consultant to develop proposals and drawings. We also worked to a design statement, which took on board the specific points raised by the planners and demonstrated how the new proposals took them into account and responded to them. As such, the application was approved without any objections being raised. The client even decided to add another bedroom and the planners raised no objection as the design still allowed the addition to complement the existing house. The property is still having finishing touches made but overall the design and build were highly successful, and both the client and the planners are very happy with it.